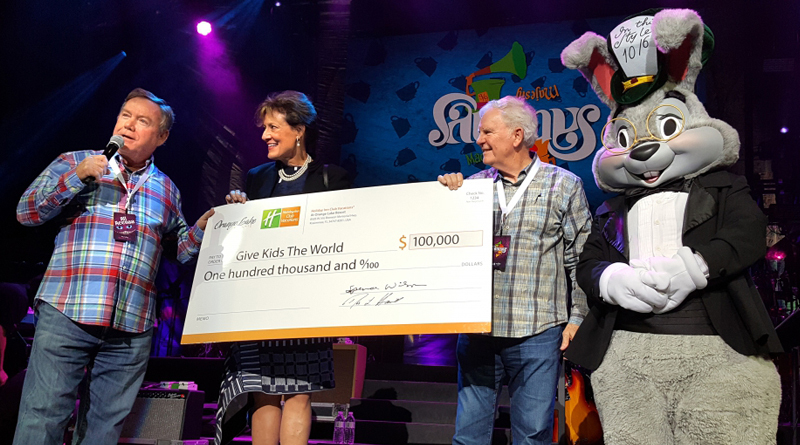 Orange Lake Resorts, home to Holiday Inn Club Vacations® brand, recently donated $100,000 to Give Kids The World® Village in Kissimmee, Florida. The donation is the fourth installment of the company’s five-year, $500,000 commitment to help fund the 53,000-square-foot Towne Hall building that was completed in 2015. Give Kids The World Village is a 79-acre, nonprofit resort for children with life-threatening illnesses and their families.